Line6 POD Studio UX2 combines the stunning sounds of POD Farm 2 plug-in with a powerful USB interface. POD Farm 2.5 plug-in features every model necessary for pro-sounding tracks. Over 80 immortal and fully adjustable guitar amps, bass amps, preamps and more, from vintage classics to must-have modern monsters, are packed inside to deliver legendary POD® tone to your DAW. 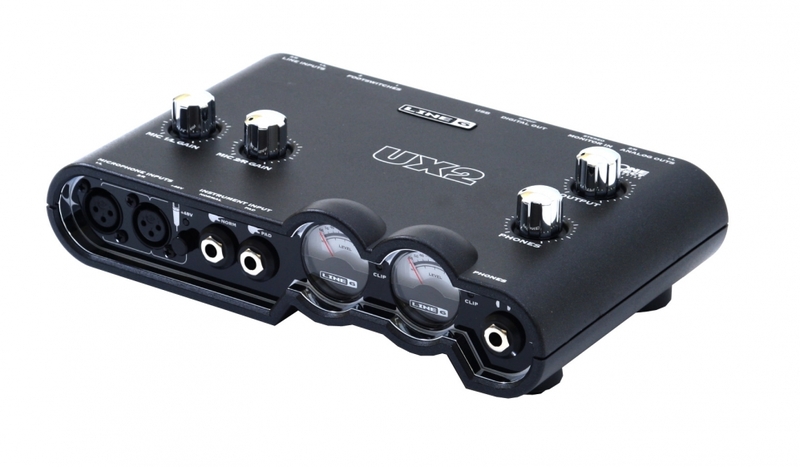 UX2 is a rock-solid interface that provides exceptional home studio recording in an easy-to-use package. The incredibly quiet guitar inputs, high-quality mic preamps, complete set of ins and outs and more provide a truly pro recording experience.